Hops, the flower cones used in beer-making, can also reduce breast cancer risk. Basically the flower heads of the plant are also used to make dietary supplements intended to treat menopause symptoms and other conditions. As hormone replacement therapy has been linked to risk of breast cancer, some women use hop extract as an alternative. However, the efficacy and potential toxicity of botanicals are still being studied. Now, researchers from the UIC/NIH Center for Botanical Dietary Supplements Research at the University of Illinois at Chicago reveal fresh evidences of a possible link between hop extract that activates a chemical pathway in cells and reduced breast cancer risk. 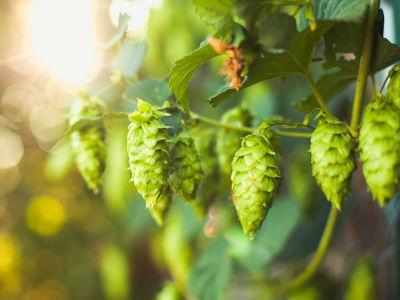 Researchers, led by Judy Bolton applied hops extract to two different breast cell lines to see if they would affect estrogen metabolism, a key mechanism in breast cancer. One compound, 6-prenylnarigenin, or 6-PN, increased a detoxification pathway in the cells that has been linked to a lower risk for breast cancer. In addition to 6-PN, Bolton and her colleagues studied 8-prenylnarigenin (8-PN), isoxanthohumol (IX) and xanthohumol (XH) for their effects on estrogen metabolism in breast cells. According to Bolton, 8-PN showed only a slight increase of metabolism in breast cells, while the other two compounds did not have significant effects in either cell line. Breast cancer is one of the most commonly diagnosed cancers in women in the U.S.; about one in eight U.S. women will develop invasive breast cancer over their lifetime. According to the American Cancer Society, an estimated 246,660 new cases of invasive breast cancer and 61,000 new cases of non-invasive breast cancer are expected in women in the U.S. this year. The study has been published in Chemical Research in Toxicology.